Mousepickle’s first application for iPhone®, iPad®, and iPod touch® was released in July 2011. It’s called Tinkerball, and is a graphically dazzling musical toy, available to buy right now! 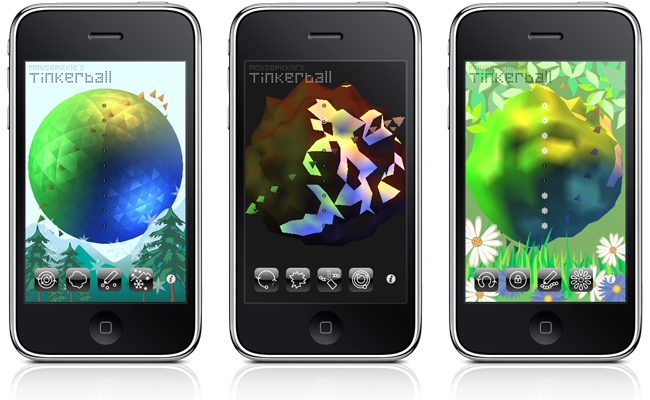 You can read more about Tinkerball, and see brief instructions on how to use it. Thanks are also due to Jon Hartley, in conversation with whom the sphere model idea first emerged (many, many months ago).